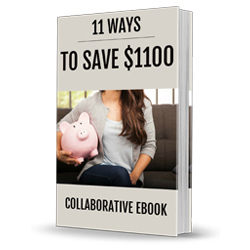 I got together and wrote a collaborative ebook called 11 Ways to Save $1100 with 10 other money saving bloggers that will help you do just that, save more money in 11 creative ways. But it does not have to be that way. 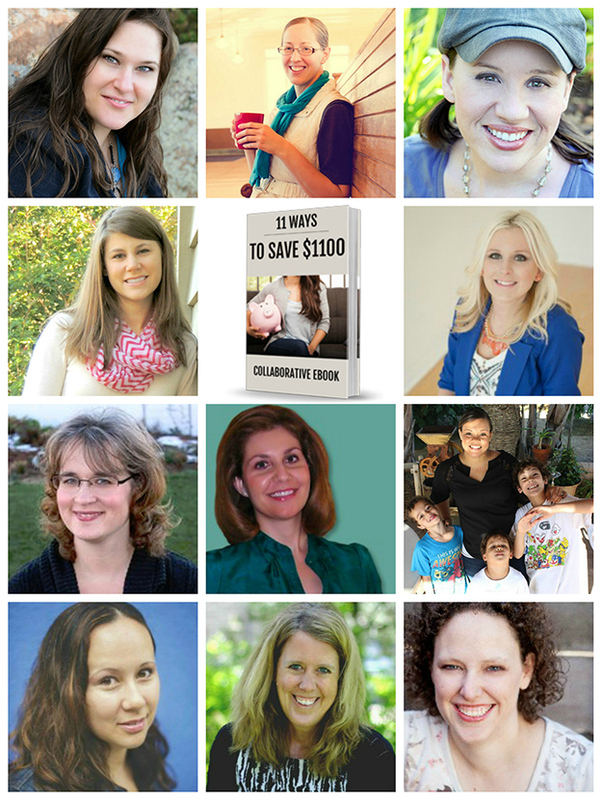 There are 1000’s of ways to save money (if not more), so if you can pick the ones that don’t hurt as much (or all) or ones that even sound fun, interesting or a challenge, then you may find you love saving money. My personal favorite is the challenges. I like them because it makes saving money seem like a game and something to strive for. A fun money saving challenge is the “No Spend Saturday”. 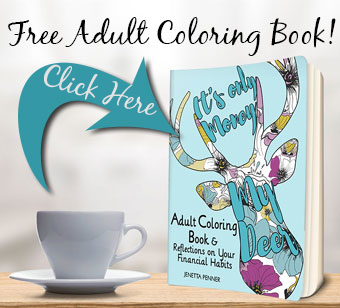 Get the eBook Here to read more..
To get the eBook simply sign up for the Frugal Living Mom newsletter that includes all sort of tips for saving money, great recipes and even exclusive freebies and deals occasionally. If you are already signed up for our email, just go ahead and enter your email anyway and you will be immediately directed to the ebook download (don’t worry it will not sign you up twice). What are YOUR favorite ways to save money? Leave us a comment. Anytime I have a $5 bill in my wallet it goes directly into my piggy bank and I will open it Memorial Day weekend. I cannot wait to see how much I get after doing this for a year.